Some MLK holiday events to check out on Monday, Jan. 21. Music, inspiration and action commemorate the Rev. Dr. Martin Luther King Jr. holiday on Monday, Jan. 21, at events around the region. 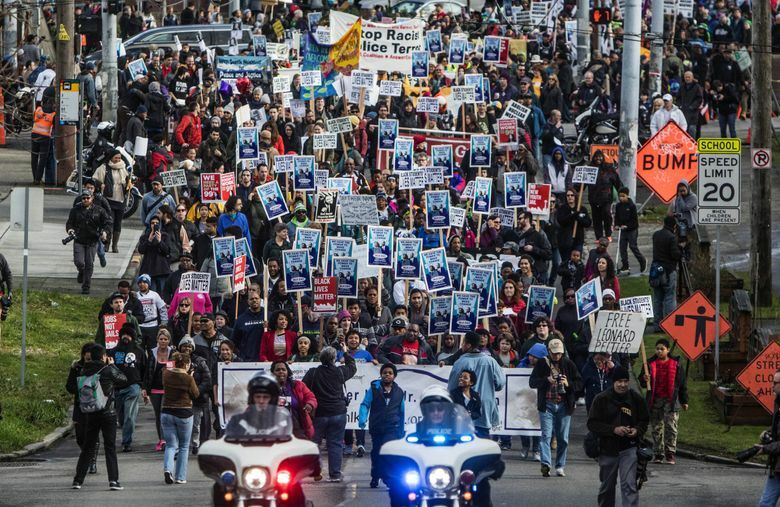 The Seattle MLK Jr. Organizing Coalition hosts the largest regional celebration, the 37th Annual MLK Day Celebration on Monday, with the theme “affirmative action = Justice.” The event at Garfield High School features a Career and Opportunity Fair, workshops and a rally with speakers, poetry and music focusing on King’s goals of defeating racism and poverty, concluding with a march to downtown Seattle for a rally at Westlake Park. The MLK Day of Service honors King’s memory each year by providing a variety of volunteer opportunities. King said, “Everyone can be great, because everyone can serve,” and several organizations offer opportunities to serve in all kinds of community projects. United Way of King County provides volunteer options, and the national MLK Day of Service website also lists volunteer opportunities around the country. Most MLK Day of Service events require preregistration. The Northwest African American Museum celebrates King’s life and legacy with speakers, film screenings, performances of freedom songs and a pop-up Soul Cafe on Monday. Washington State History Museum in Tacoma honors King on Monday with a small exhibition detailing his visit to Washington state in the 1960s and an educational musical performance of “Ruby Bridges” for all ages by Tacoma Arts Live. Admission to both museums is free for everyone on Monday. For more MLK holiday events, see our Community Calendar.